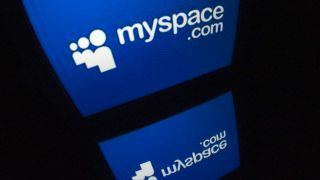 A notice on the MySpace Music page reads, "As a result of a server migration project, any photos, videos, and audio files you uploaded more than three years ago may no longer be available on or from Myspace. We apologize for the inconvenience. If you would like more information, please contact our Data Protection Officer." When pressed for more detail by a concerned user, the Data Protection Officer responded, "Due to a server migration files were corrupted and unable to be transferred over to our updated site. There is no way to recover the lost data." It's been a year since files on Myspace music stopped being available, but initially the company stated that they were working on the problem, responding to queries with a message that read, "There is an issue with all songs/videos uploaded over 3 years ago. We are aware of the issue and I have been informed the issue will be fixed, however, there is no exact time frame for when this will be completed. "Until this is resolved the option to download is not available. I apologize for the inconvenience this may be causing." According to MySpace's help pages, files uploaded in MP4 and M4A file format can be downloaded by artists. Myspace was launched in 2003 by Thomas "MySpace Tom" Anderson and Chris DeWolfe, and was acquired by Rupert Murdoch’s News Corporation in 2005 for $580 million. Despite generating $800 million in revenue during the 2008 financial year, the site was usurped in popularity by Facebook, and has since been sold twice: to Specific Media Group and Justin Timberlake in 2011 for $35 million, and to Time Inc. in 2016. Terms of the deal were not disclosed. Whatever happened to the MySpace bands?